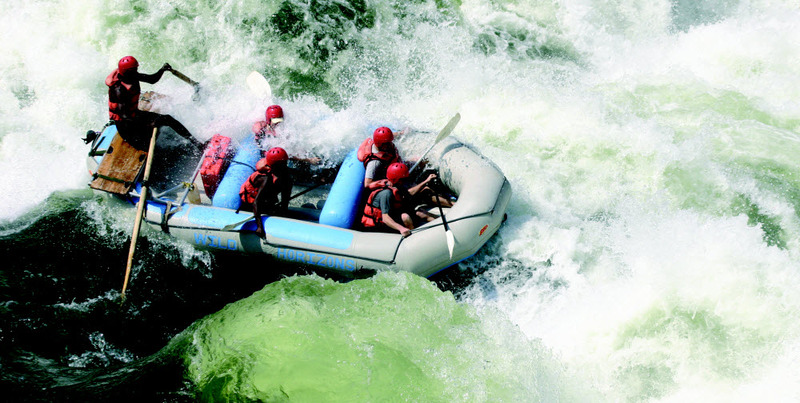 By most accounts, The Zambezi River offers the best one day white water rafting run in the world. 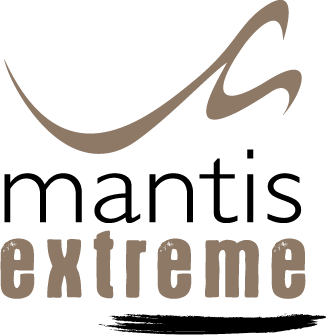 The rapid names are enough to get the adrenalin pumping – from “Stairway to Heaven (Rapid 5)” to “The Gnashing Jaws Of Death (Rapid 10)” and “The Overland Truck Eater” (Rapid 11). 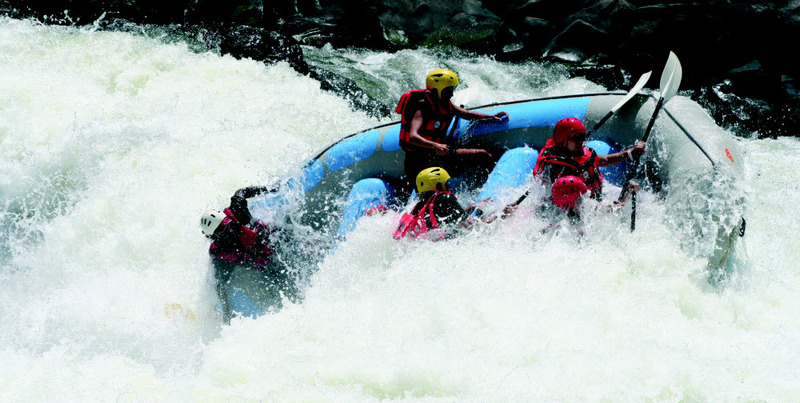 Low water rafting starts at “The Boiling Pot”, right below the magnificent Victoria Falls. The view of the Falls from here is unforgettable. 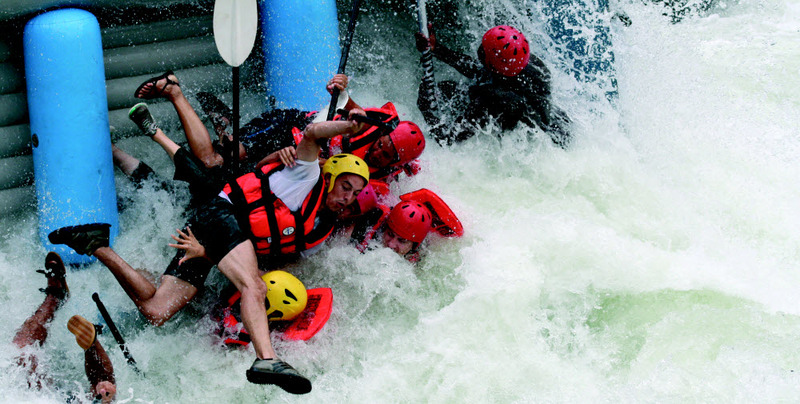 The gorge is over 100 meters deep at the Falls and increases to over 200 meters by the end of a full day rafting trip. The glistening basalt rock walls form a series of sharp hairpin bends. 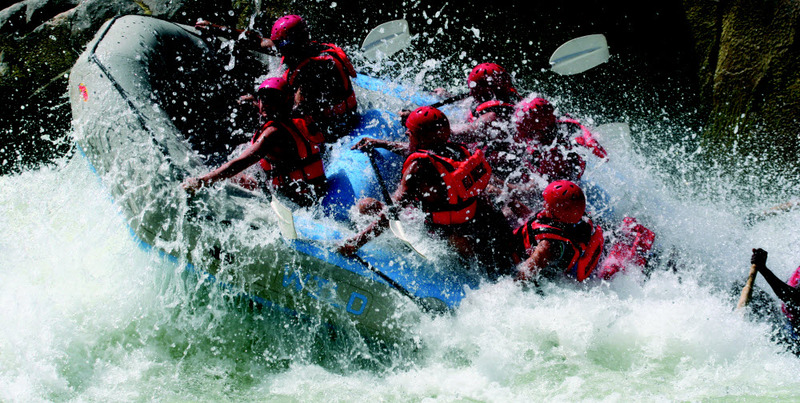 Rapids are interceded by calm stretches of crystal clear water where you can take a relaxing swim and watch the spectacular gorges, thick with vegetation. 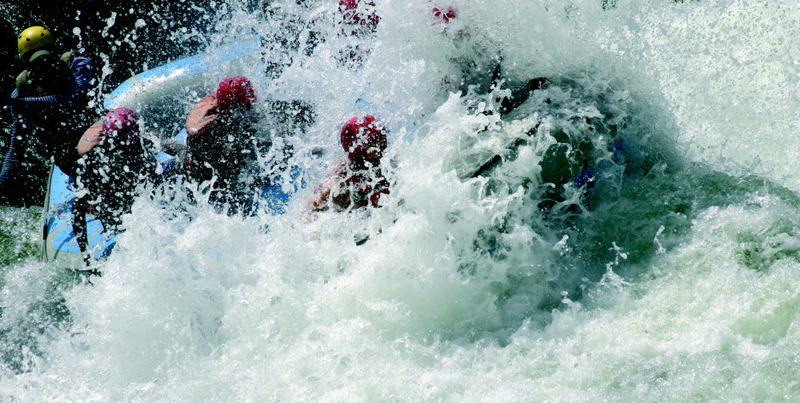 Between September and November rafting is at its best with lots of grade 4 and 5 rapids (Grade 6 being commercially un-run-able). 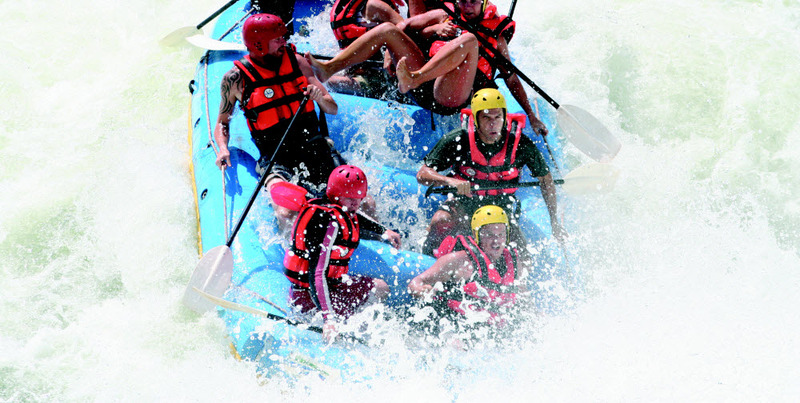 Its also during this time that multi-day rafting is on offer. These adventures are between two and five days long. The journey snakes through The Songwe gorges. Sheer rock walls arise hundreds of meters above the river and the roar of the rapids resound up the narrow canyons. It is here where one may catch a glimpse of the threatened Taita falcon as its soars above you. Vertical walls give way to wider valleys at times and white sandy beaches dazzle in the sunshine. Its on these untouched beaches where camp is set up and hearty dinners are enjoyed around roaring campfires with friends and family. The five day journey ends at the Matetsi River mouth where basalt rocks give way to grassy banks and the grunts of vocal hippopotamus carry across the water. For nature enthusiasts and beachcombers, Gansbaai has plenty of on-land activities that cater to couples and families alike. Gansbaai is a unique and very popular destination on the Western Cape’s “Whale Coast”.The rugged and unspoilt land-scape invites visitors to explore Gansbaai and its surrounds– from the white sands of Pearly Beach to the horse riding trails, and the exciting eco-tours offered by Marine Dynamics. Situated almost halfway between Hermanus and Cape Agulhas, Gansbaai is both a must-see destination and a convenient starting point for travellers wanting to explore the Overberg region. From the famous tourist town of Hermanus, known for its whale watching, to Cape Agulhas – the southernmost point in Africa – the coastal region of the Overberg offers entertaining day trips and a taste of life as it should be – relaxed, friendly and unspoilt. Moving northward, you will discover the charming town of Stanford, nestled between some of the most picturesque nature reserves in the west coast region – the Walker Bay Nature Reserve is the largest of these and may offers nature lovers an entire day full of exploration and enjoyment.